" Quality Angkor Wat professional, friendly service are our priorities "
Angkor Wat: an amazing spot on planet earth: If you've read anything at all about Angkor Wat, you'll probably know at least three things: Angkor is one of the most beautiful and suggestive place on the planet, the Angkor Wat Temples area is much bigger than the Angkor Temple alone, and last, nothing is homogeneous, being the temples built in different times, during a four centuries process. Well, if you know this, it's a good start. This site was created with the intention to guide you through Angkor, but not only. We'd like to give you information about how to arrive to Siem Reap, the closest city to the ancient site. We'll speak about how to find a good hotel or guesthouse, where to eat the best food, how to relax after a whole day spent visiting Angkor and so on. Angkor What? Many people, when they hear the name Angkor in a conversation, they ask: "Angkor What?". Angkor Wat is one of the most beautiful and fascinating places on the planet. Made by the Khmer kings in a process that lasts almost 4 centuries, this magnificent area has been abandoned and hidden by the forest. Re-discovered by a french man about 150 years ago, Angkor Wat is ready to become one of the most visited archaeological and artistic site on the planet. 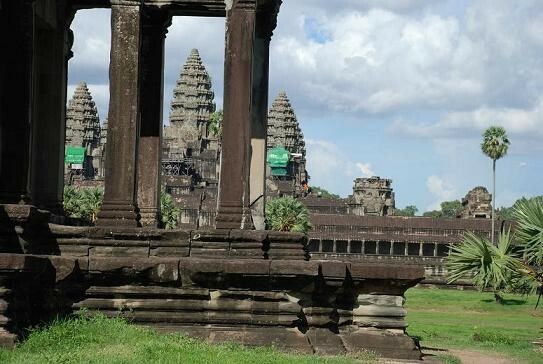 On the way for Angkor Wat: Siem Reap: With the name Angkor Wat we usually define the area where the ruins of these magnificent temples are: but before you can arrive here, you will surely stop to Siem Reap, the closest city to this exciting world. Siem Reap has just finished to re-build its international airport, new pub, cafè and restaurants open almost every week, as well as new hotels and guestrooms. Welcome in one of the fastest developing Asian city. You Angkor Wat tour will start from here. Angkor Wat today The Archaeological Survey of India carried out restoration work on the temple between 1986 and 1992.
collapsed sections of the structure, and prevention of further collapse: the west facade of the upper level, for example, has been buttressed by scaffolding since 2002, while a Japanese team completed restoration of the north library of the outer enclosure in 2005. World Monuments Fund began work on the Churning of the Sea of Milk Gallery in 2008. Angkor Wat has become a major tourist destination. 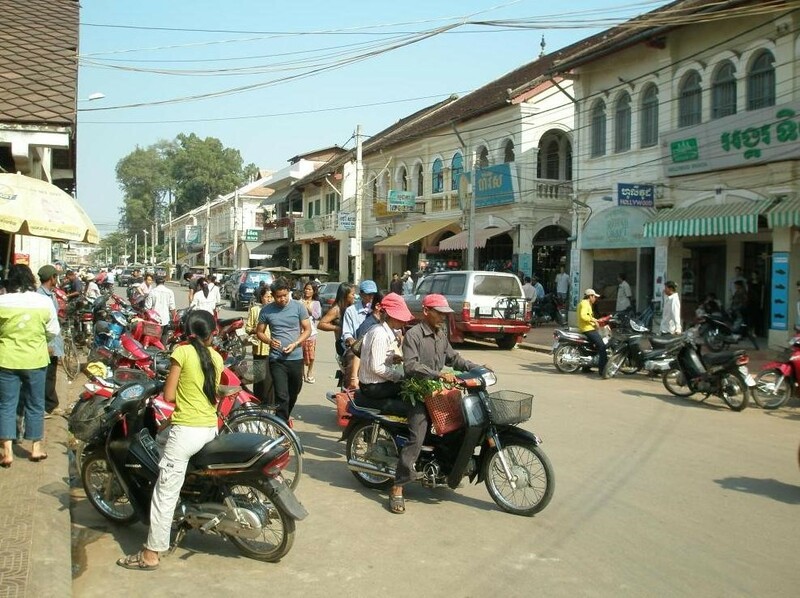 In 2004 and 2005, government figures suggest that, respectively, 561,000 and 677,000 foreign visitors arrived in Siem Reap province, approximately 50% of all foreign tourists in Cambodia for both years.The influx of tourists has so far caused relatively little damage, other than some graffiti; ropes and wooden steps have been introduced to protect the bas-reliefs and floors, respectively. 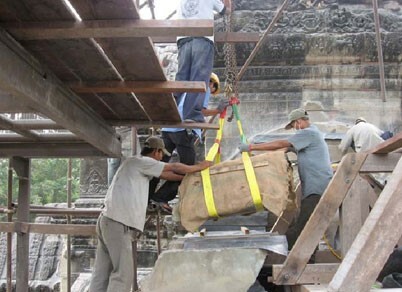 Tourism has also provided some additional funds for maintenance—as of 2000 approximately 28% of ticket revenues across the whole Angkor site was spent on the temples—although most work is carried out by foreign government-sponsored teams rather than by the Cambodian authorities.